FDOC – Nominee for Best Romance of 2010 at Goodreads! 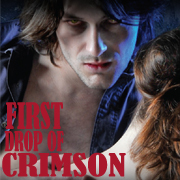 Thank you readers, First Drop of Crimson is nominated in the Best Romance Catagory for 2010 at Goodreads! Follow the link to vote. The winners will be announced on January 5, 2011.